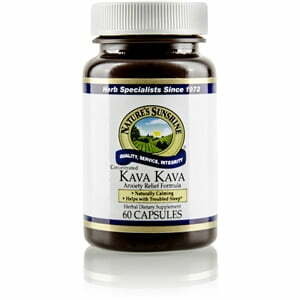 Kava Kava has a rich history in Polynesia and Indonesia where it originated. Related to the pepper family, it was originally prepared as a beverage to show hospitality to foreign nobility. The honored guests often felt a deep contentment and sense of well-being after drinking the beverage, according to legend. Modern herbology employs kava kava to calm anxiety without affecting mental functions. It may be used as a helpful sleep aid and muscle relaxant. 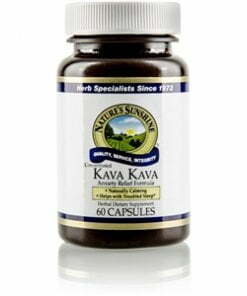 Nature’s Sunshine Kava Kava comes in 200 mg capsules. Instructions: Take one capsule with a meal twice daily. Bedtime dose: 1-2 capsules 30 minutes prior to retiring. Cellulose (plant fiber), magnesium stearate (vegetable), dextrin, modified starch, tricalcium phosphate, kosher gelatin, and water.